Mahindra XUV500, the car that has been a runaway success for Mahindra has been facing a bit of criticism off late because of some quality issues in the car. Mahindra started recalling the car back in April to replace the brake pads and it was felt then that the car could do itself a whole world of good if it got itself some upgrades in the quality department. Based on customer feedback, Mahindra has finally upgraded the Mahindra XUV500 2013 new model and it has already hit the production line at the company’s Pune facility. The same is expected to go on sale soon. The changes come in as a welcome change and will surely be the ones that will boost the sales of the car to quite an extent. Starting with the braking system of the car, it has been completely re-engineered to overcome the issue of the noisy brakes. The car now comes shod with better brake pads, brake booster and a reworked ABS system which provide for a better braking. The clutch of the car sees an improvement as it now becomes more reliable courtesy of the new oil seals. It helps you engage the clutch a bit more smoothly but you are still left wanting for more. The rattling of the car with passage of time is a typical Mahindra characteristic which now gets addressed in the upgraded version of the car. The car now feels that its screws and bolts have been tightened better, thus ensuring that the car does not rattle and squeak over bad roads. The torsional stiffness of the car has been improved by closer spot welds on the monocoque chassis. The suspension offers a more pliant ride, all thanks to the better suspension bushes. 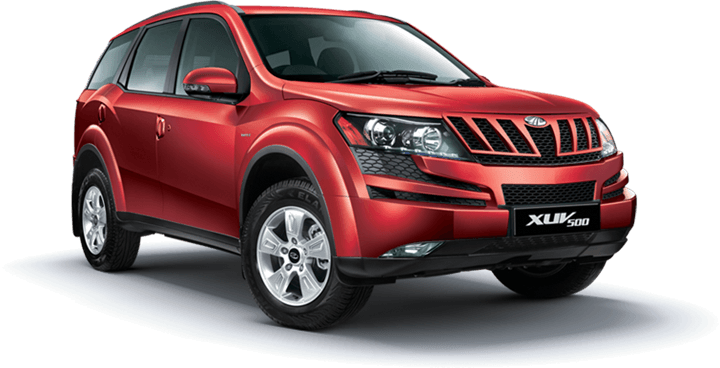 M&M has intelligently brought down the ground clearance of the XUV below 170 mm by new engine guard profiling which helps the brand save on the excise bracket which was set on cars in the last budget which taxes cars with 170 mm or more ground clearance at higher bracket. We would say its a smart move and was much anticipated as Mahindra has already indicated such steps in previous reports. The car has been improved for the good and the upgrade will take care of all the quality niggles that the XUV500 owners have been complaining about. Mahindra might as well offer some of the upgrades for its existing customers because the car getting upgraded might just raise an eye or two amongst the current owners. The car is also expected to get two more variants with one of them being a top end variant and one of them being an entry level variant.